Top Seasonal Foods for our Pantries & Bellies. Excerpted from Healing the Vegan Way: Plant-Based Eating for Optimal Health & Wellness by Mark Reinfeld. Copyright © 2016. Available from Da Capo Lifelong Books, an imprint of Perseus Books, LLC, a subsidiary of Hachette Book Group, Inc. In the 20-plus years of being a vegan chef, it is clear to me that plants have the power to heal and transform our lives. My mission is to show people how fun and easy it is to prepare a delectable, world-class, plant-based cuisine that is good for our health and the planet. Fall has arrived, and with it comes a variety of incredible seasonal foods to add to our pantries. Below you will find some of my favorite fall foods to add to your shopping list as well as their nutritional benefits and suggested uses. Apples: Apples have been shown to reduce the risk of cancer, diabetes, heart disease, obesity and high cholesterol. Whether you’re making a warm apple crumble or adding them to your favorite salad, apples make a great pairing with any fall dish. Brussels Sprouts: Brussels Sprouts are high in protein and just one serving meets your daily requirement for Vitamin C and K. Toss them in the oven and enjoy as is or pair with your favorite risotto or salad, the possibilities are endless! Butternut Squash: Butternut squash is low in fat and high in fiber and an excellent source or potassium. Try it as a soup or incorporate it into your favorite pasta dish as a sauce. Kale: The poster child for healthy green veggies, kale is low in calories, high in fiber, contains no fat and packed full of many nutrients, vitamins and calcium. Kale is also a wonderful addition to a refreshing green juice, smoothie or salad. Lentils: Lentils are low in calories, high in protein and an excellent source of fiber. Lentils are an ideal ingredient for a flavorful, nutritious soup. Nutritional Yeast: Nutritional yeast is a complete protein, packed with vitamins and makes for a great superfood. Top your favorite savory dish with nutritional yeast for a nutty, creamy addition to any fall meal. Pumpkin Seeds: Consuming pumpkin seeds may reduce the risk of heart disease, diabetes and obesity. Season with your favorite spice, bake and enjoy as a snack. Quinoa: Quinoa is gluten-free, high in fiber and one of the few plant foods to be considered a complete protein. Stuff your favorite fall squash with quinoa, enjoy in a salad or as a side. 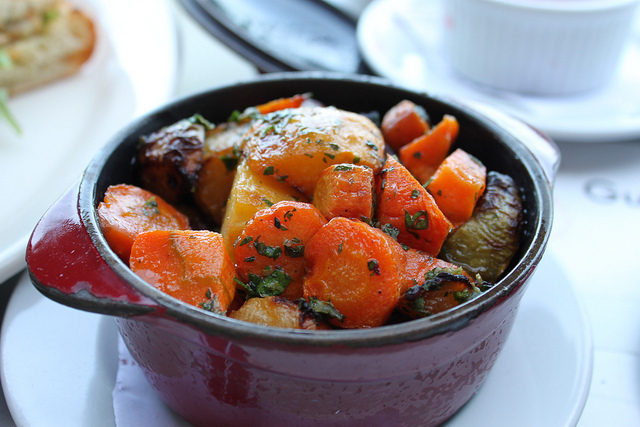 Root Vegetables: Root vegetables such as carrots, beets, turnip and parsnip are high in vitamins and minerals. Roast them in the oven and enjoy as a side to complement any fall dish. Walnuts: Walnuts contain a high amount of antioxidants and are rich in omega-3 fats. Enjoy as a snack or add walnuts to your favorite fall loaf. May this list inspire you to include more of these superfood plants into your fall menu. Try my suggestions or experiment and discover your own favorite fall recipes. Nordqvist, Joseph. “Apples: Health Benefits, Facts, Research.” 12 Jan 2016. 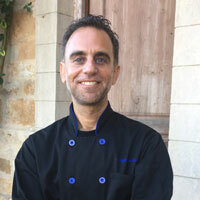 His first cookbook, Vegan Fusion World Cuisine, has won 9 national awards, including “Best Vegetarian Cookbook in the USA.” He is the recipient of Vegan.com’s Recipe of the Year award, and Aspen Center for Integral Health’s Living Foods category Platinum Carrot award. Through his Vegan Fusion company, he offers consulting, chef services, culinary workshops, chef trainings and teacher trainings internationally.